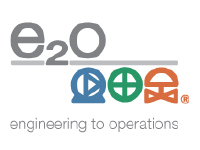 We assist our clients by providing the best technical solution to effectively achieve project milestones and operational requirements, as the project moves from engineering, design and construction, through to completions , commissioning and operations, hence our name e2o (engineering to operations). e2o promote a “total process” philosophy, finding big picture solutions rather than endless quick fixes and repairs, ensuring your plant is controllable, cost effective and efficient from day one. We achieve this by concentrating on what we consider as the niche areas essential to the lifecycle of a facility. These areas require specialised attention from “engineering to operations” and beyond.